When I was a baby, my mom and dad adopted me (along with three siblings) from Seoul, South Korea. Without asking for anything in return, they took us in – cared for us, loved us, and taught us values like integrity and compassion through everyday actions. As I’ve gotten older, I realize that many people don’t grow up in families like mine. Some children are raised without the support of two loving parents, or with absent or abusive fathers. 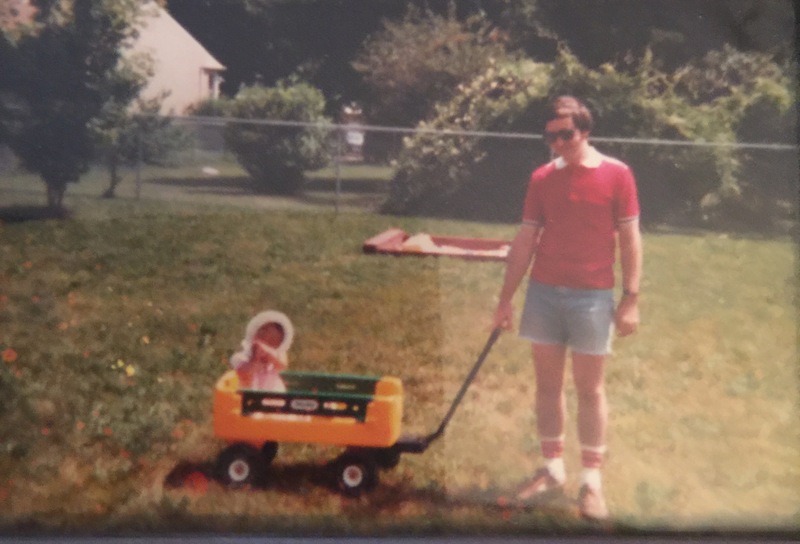 Sadly, many young men and women will never know what it’s like to have a dad like the one I have – someone who taught me how to change a tire, took me to Pittsburgh Pirates games, helped me with homework, taught me how to fish, (patiently) showed me how to parallel park and protected me from the world. More importantly, a man who taught me that I had value – that I was worth more than my appearance, accomplishments, or the clothes I wore, even if the rest of the world only cared about trivialities. After graduating from high school, my dad earned a Master’s degree in engineering, married my mom and now owns and runs a business. He never complains, never says a negative word about anyone and always puts God and family first. Despite his busy schedule, he always spent – and continues to spend – quality time with his wife and children. Grand, sweeping gestures of love have their place in films and television shows, but I’ve found that small, persistent acts of kindness, positivity and encouragement are what truly impact the world. By spending time with their sons and daughters, fathers can have a profound influence on who their children grow up to be. Likewise, helping a stranger, being kind to someone you dislike or volunteering to improve your community will make a difference in other people – and ultimately, yourself. My dad lives out this belief every day – he works to make the world a better place and to improve the lives of others, a legacy he’ll leave behind when he’s gone. I remind myself of this every day. What will we leave behind when we die? Did we live for ourselves, or were we selfless? Did we perform small acts of kindness and ease the burden of others, or did we wallow in self-pity and allow fear and hardship to immobilize us? Acts of goodness and bravery aren’t always worthy of a Marvel comic. Sometimes they’re simply empathetic words or kind deeds, performed even when facing difficulties or fighting battles of your own. This is one of the most important lessons my dad passed onto us – pushing through adversity is challenging, but nothing worthwhile will ever be easy. No matter what life throws at you, there are always people who have it worse. Stop worrying about yourself and focus on what you can do for others – wake up every day with a mission to improve the world, and you will.